Howdy folks! 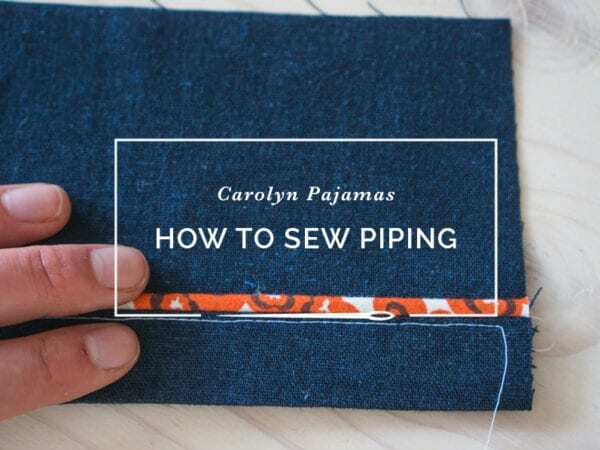 I know there are approximately eighty bajillion bias tape tutorials out there but I want to show you how to make your own piping for the Carolyn Pajamas and you can’t really have one without the other, alas. 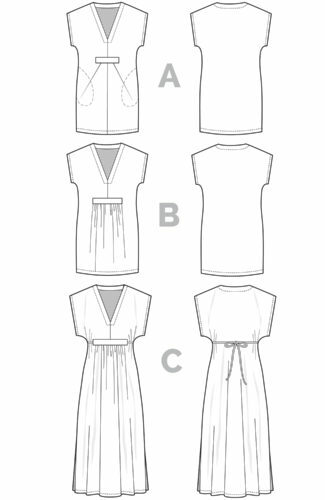 I was in a bit of a rush when I made up my Carolyn samples so I didn’t actually make any of the piping I used in those garments; I lucked out and found some fairly drapey piping that was easy to work with. 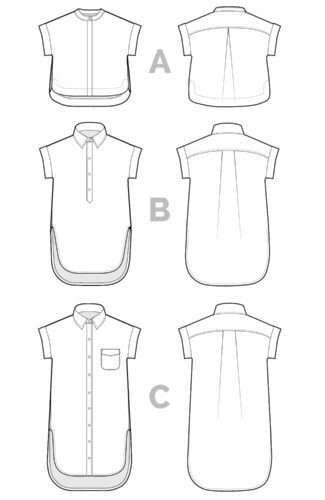 You can certainly use the store-bought cotton/poly stuff but keep in mind that it can be a) expensive b) stiff and tricky to sew around curves and c) limiting in terms of colours. 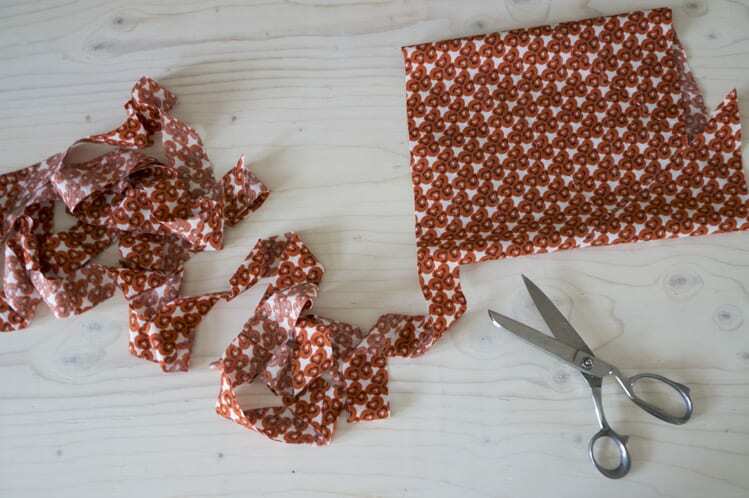 Most of us have boxes, bags, cupboards, Rubbermaids, bunkers, panic rooms and closets stuffed with scraps so making your own bias tape and/or piping is a great way to use up the fabric you feel too guilty to throw away. I also think adding piping to this project takes it to the next level, aesthetically speaking. And it’s not as hard as you think it is, so let’s do this. Thin cord for inside the piping. 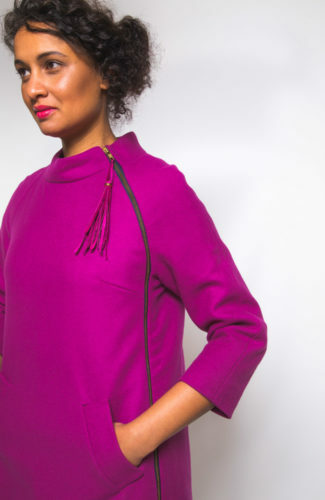 You can use a sturdy yarn in a pinch but you want something that has a profile and will hold its shape while you’re sewing it in. 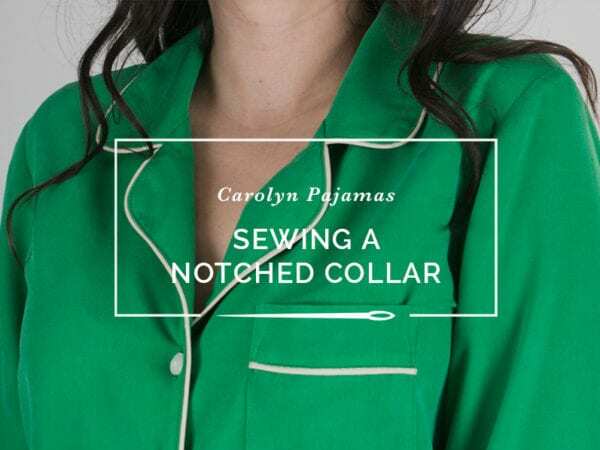 You can make bias tape with any woven fabric, but with Carolyn I am partial to lightweight cottons and silk. Silk is obviously a little bit more fiddly to work with, but it creates a really luxurious detail. 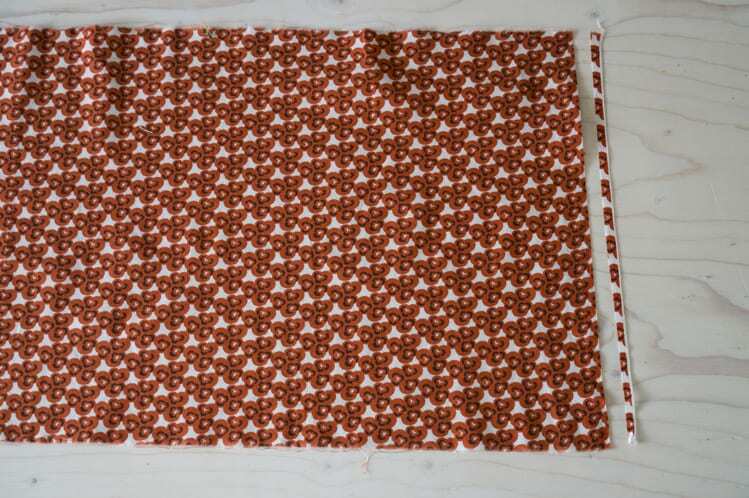 Start by truing the edges of your fabric. 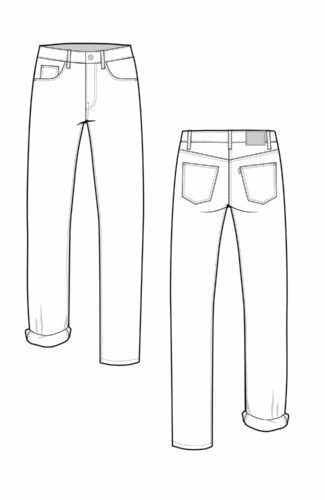 I just snip into the selvedge, rip along the crossgrain, and then press and steam to reduce distortion along the ripped edges. 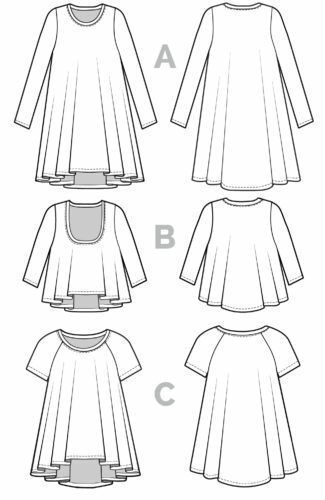 Cut off the selvedges of your fabric as well. 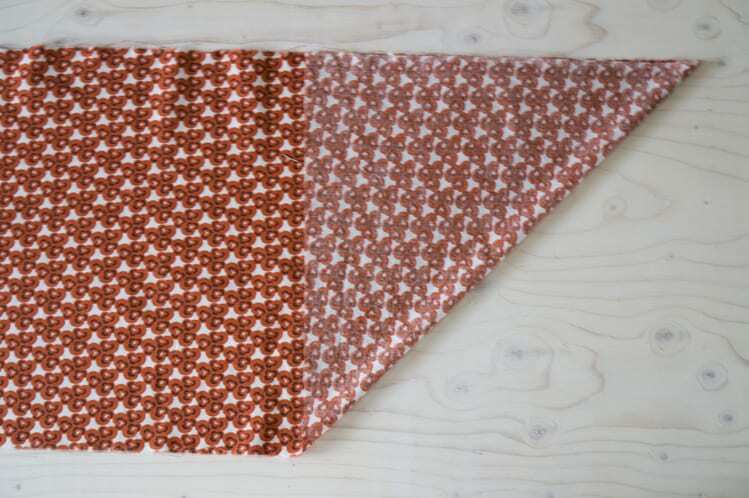 Fold the bottom corner of your fabric up and align it against the top edge so you make a big folded triangle. Get your scissors in there and trim off this triangle. I hold my left hand flat on the fabric as I’m cutting to prevent it from shifting. 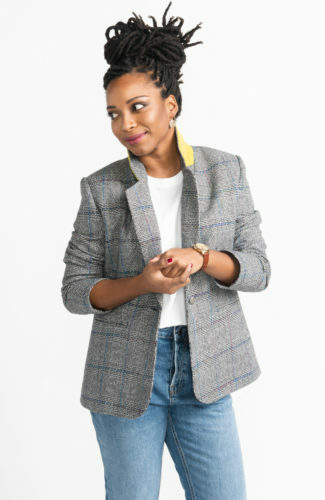 Now move that wedge to the left side of your fabric. You’re basically making a parallelogram. Remember algebra? Yeah, me either. 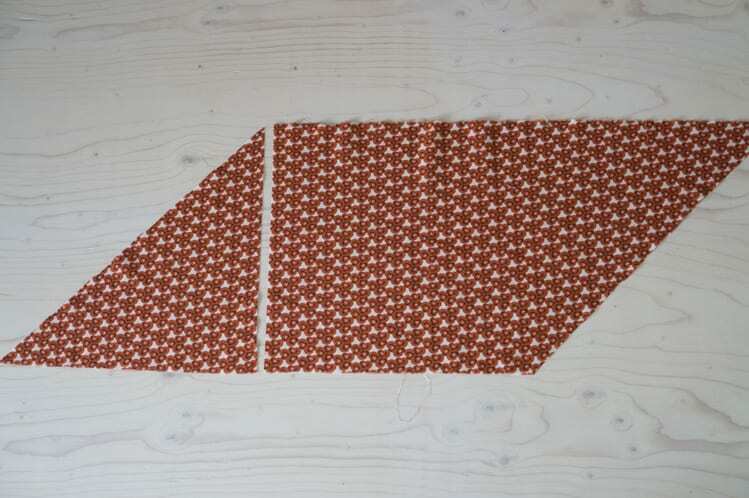 Pin the two straight edges right sides together and sew. Press the seam open. 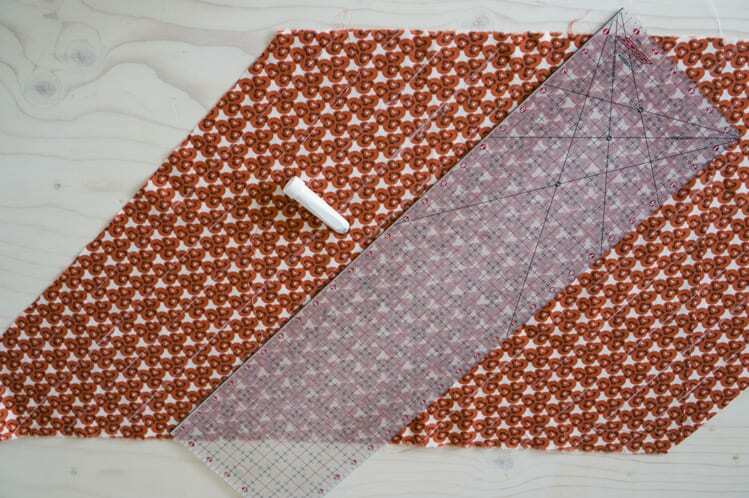 With your quilting ruler and chalk, draw lines parallel to the angled edge, equal distance apart. 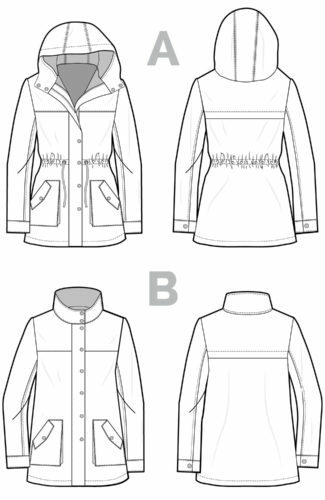 If you want the seam allowance of your piping to match the 5/8″ seam allowance of the pattern, you’ll need to experiment with a scrap of fabric and your piping cord to see how wide those lines should be. 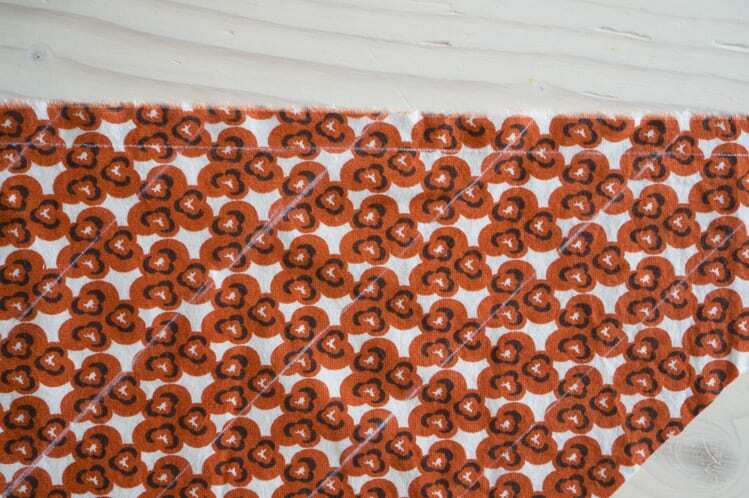 In this example I cut the strips 1 1/2″ wide. 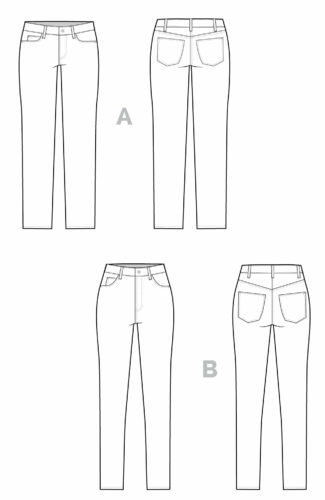 Once all your lines are drawn, mark the seam allowance along the top and bottom edges. I marked 1/2″. 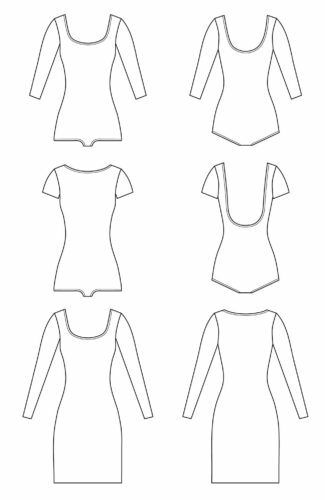 This line helps you match everything up when you sew the edges together. 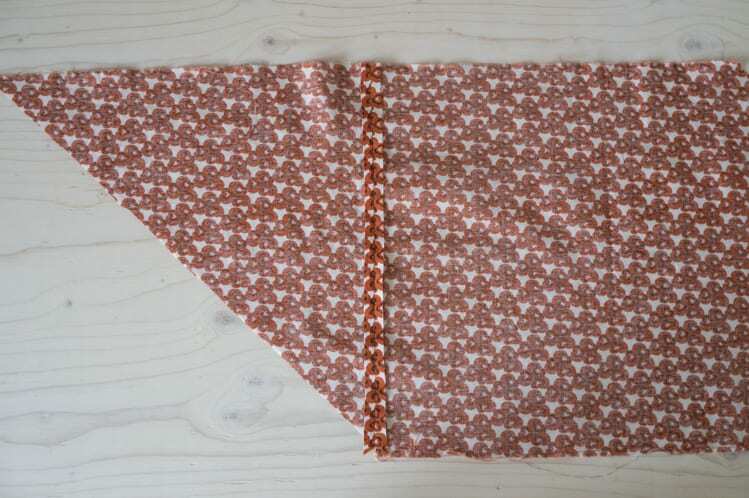 Now, with the right sides together, fold the fabric up. 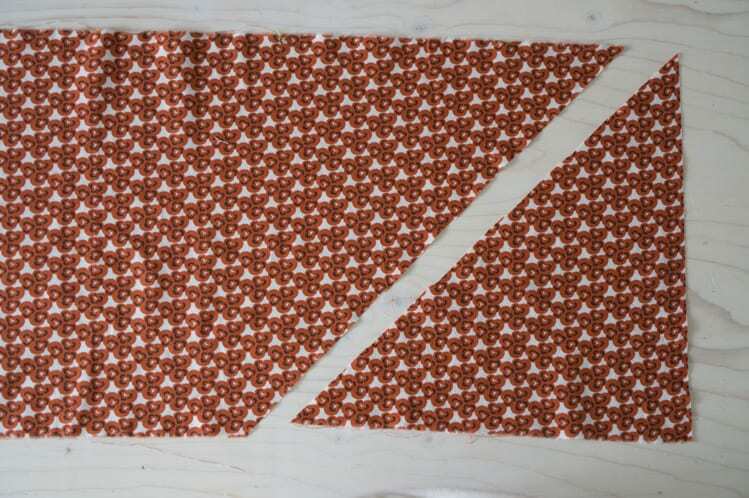 Match the end of the first strip with the second strip along the seam allowance. 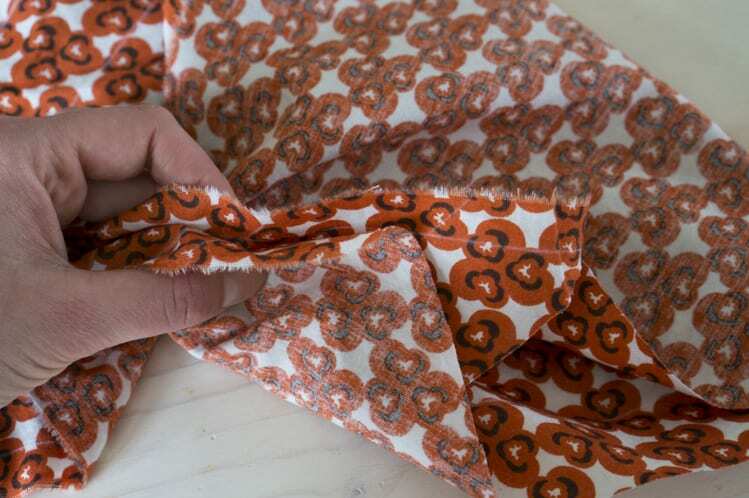 You want to cut one continuous line of fabric, so by doing this you are essentially creating a spiral. Press your seams flat, and start cutting along your chalk lines. 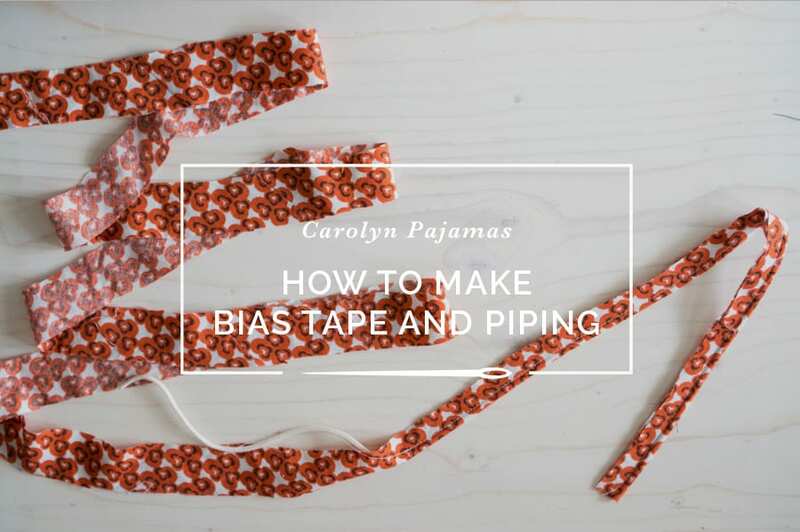 You should be able to make one crazy long strip of bias tape. I made over 9 yards of bias tape using a half yard of fabric, so the yield is pretty good! Now that you have your bias tape ready, you have two choices. 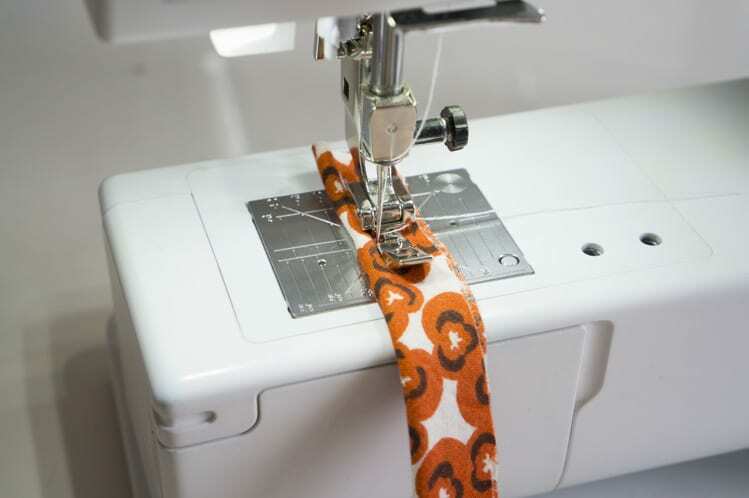 If you don’t want to insert the cord, or prefer the look of flat piping, you can simply press this bias tape in half and use it along all of your seams. 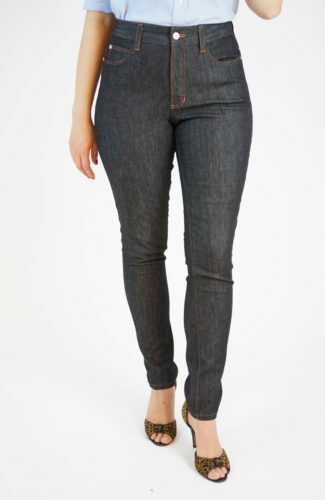 I think a 1/8″ exposed edge looks great with flat piping, but you can go a little wider. 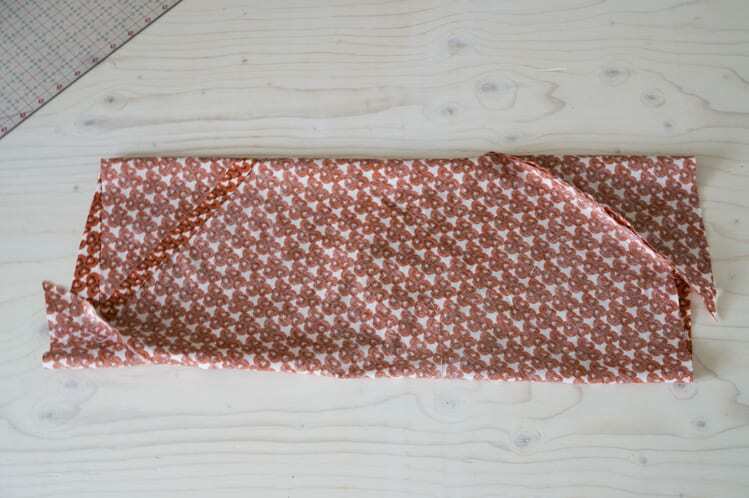 Just keep in mind that the wider it is, the trickier it is to sew along tight curves. If you prefer the rounded edge of piping, there are two ways you can insert the cord in the tape. Pop your zipper foot on your machine. 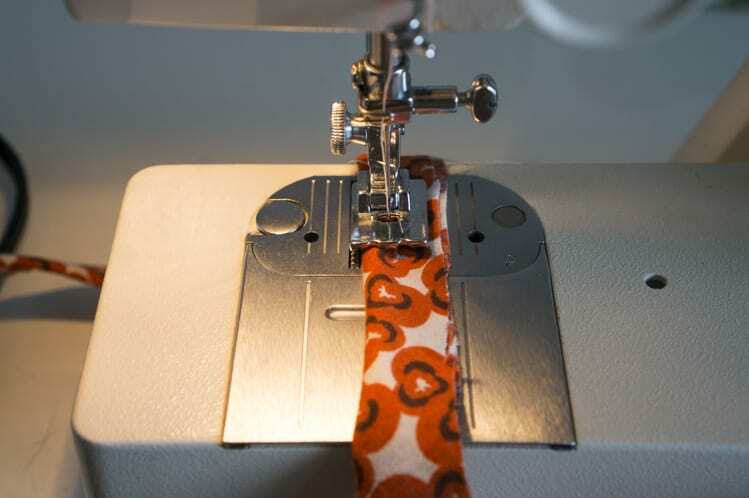 Fold the bias tape over your cord and place it on your machine with cord to the left of the foot. Have your needle as far left as possible. 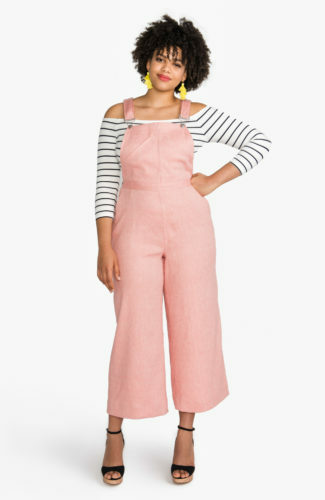 Sew along the length. 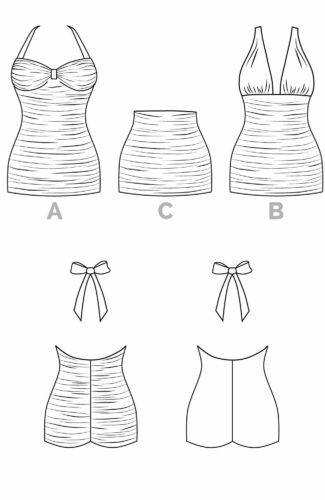 My problem with this method is that there is a limit to how close you can sew to the cord depending on the width of your zipper foot. Your exposed piped edge will be on the wider side, and since you can’t adjust needle position there is a chance you’ll see overlapping lines of stitching. But there’s a better way! I made a few Carolyn muslins with a zipper foot and it was fine, but I was much happier when I bought a specialty piping foot. As you know, Bernina feet are expensive and I didn’t want to wait a week for one to arrive. 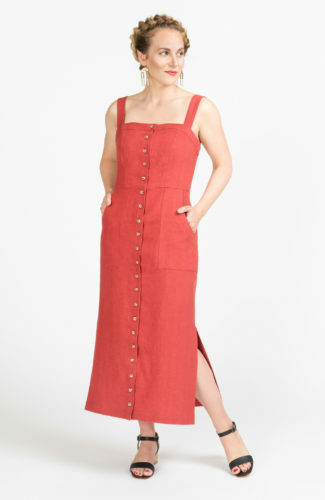 Instead, I went to a sewing supply store and bought a cheap low-shank piping foot for around $5 to use on my old Singer. 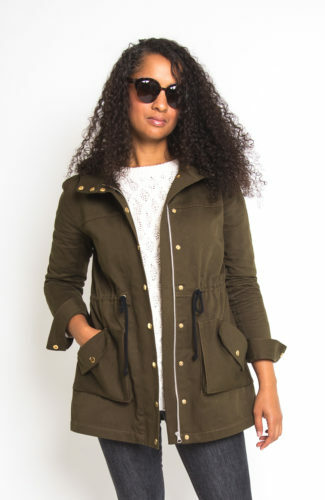 You can find a similar one on Amazon here . The key to this foot is making sure it has a wide opening for your needle so you can adjust your needle position a little. A foot with a small hole will work but won’t let you sew really close to the edge of your piping. The channel in the foot holds the piping in place so you don’t have to fiddle much with it. It makes sewing much easier and faster. 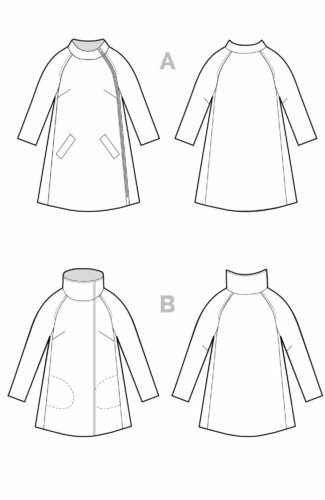 Just keep an eye on your fabric and seam allowance and try to sew the piping as consistently as possible. And that’s it! 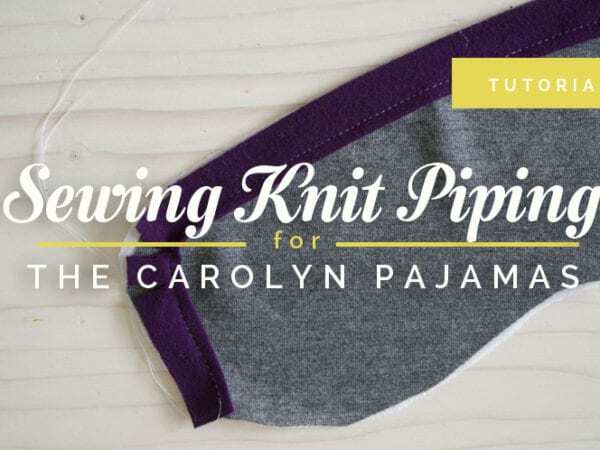 In an hour or two you can make yards and yards of piping in whatever fabric you want. I’ll be back Monday to show you how to actually sew this stuff in!